Don't let its size fool you. This pint sized enclosure is packed with more technology than meets the eye. A highly efficient transducer. Dual-passive radiators. An omnidirectional acoustic deflector. All of which simply means you'll get lifelike sound… and real-life goosebumps. Don't have your phone handy? Don't worry. You can still make dinner reservations or send a text message. Just press and hold the multi-function button to access the voice input for Siri and Google Now™ right from the speaker. Problem solved. An optional charging cradle keeps your SoundLink Revolve charged and ready. It's a convenient home base for your speaker, and you can play your music while it charges. Just plug the wall charger included with your speakers into the cradle. Make a connection. It's easy. Voice prompts talk you through Bluetooth pairing. 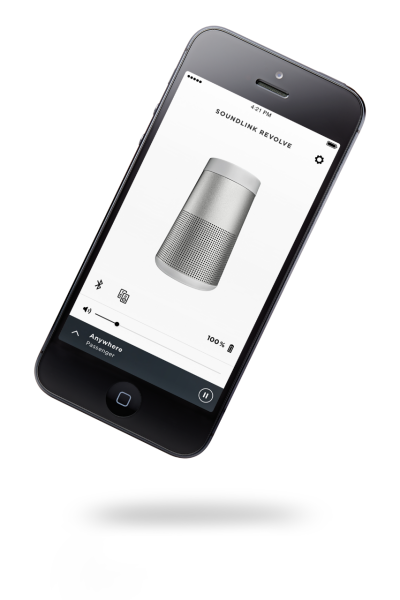 You can connect to two devices—and the speaker remembers the eight most recently connected devices. You've seen it before. Everyone crowded around with one friend on speakerphone. You struggle to hear them, they struggle to hear you. Not anymore. SoundLink Revolve speakers let you take calls right through the speaker, so words are clearer and less muffled. 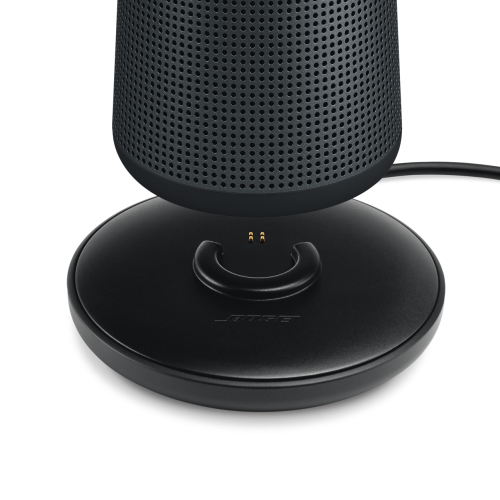 Just press and hold the multifunction button to access the voice input for Siri and Google Now™ right from the speaker. 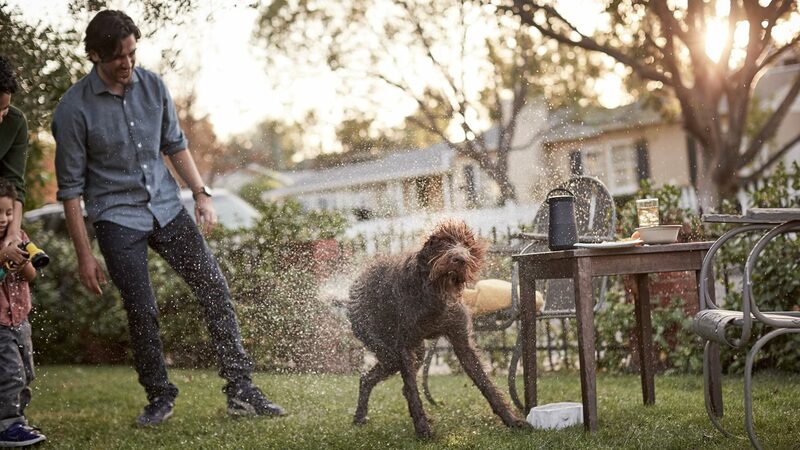 SoundLink Revolve's water resistant design means that you can use it in more places without worrying. With extensive testing and an IPX4 rating, we've ensured that your speaker will long outlast an accidental showering of water.